When I arrived in Tucson 10 weeks ago, the first thing I did was get on blogs and map out running routes, and I found them, too, everything from paved bike paths along dried river washes to canyon and mountain trails. Discovering places to run in Tucson was easy. Then I flew out to the Philly suburbs to visit with my sister and mother, and the running got a little bit more complicated. I’m not a city person. My ideal view is of mountains. Yet, surprisingly, I found running through the city to be exotic. Weaving in and out of crowds, with buildings on one side and the Schuylkill River on the other, was a blast. 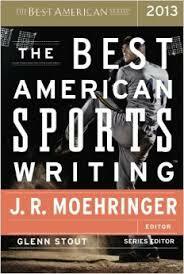 And thanks to Google map, I found more than enough running routes including everything from flat and paved bike paths to wooded trails and out-of-the-way hilly trails tucked around a college campus. Below are a few of my favorites. 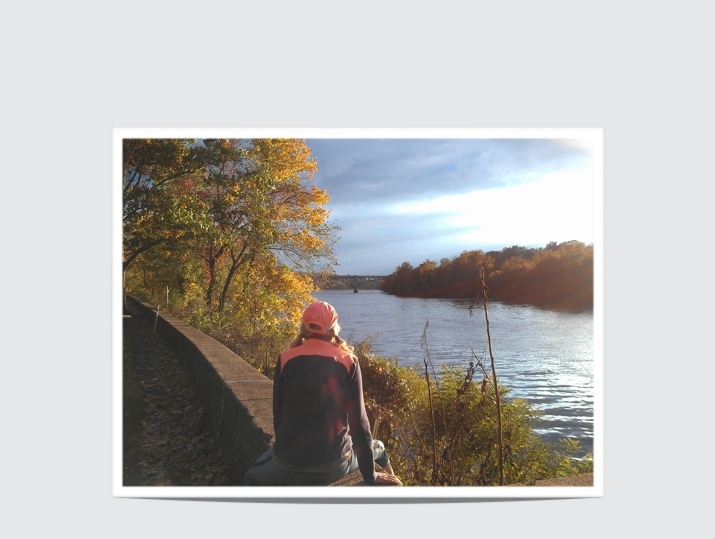 Kelly Drive: A paved and flat bike trail winding around the Schuylkill River, past boat houses (on weekends you can often catch the regattas). The path leads past the Philadelphia Museum of Art, also (sadly) known as the “Rocky” museum, which features the steps that Sylvester Stallone ran up in the movie. An interesting note: My sister is friends with a man who was one of the kids running with Stallone in the movie and, according to him, they had to do numerous takes because the kids kept beating Stallone to the top of the steps, hee, hee). 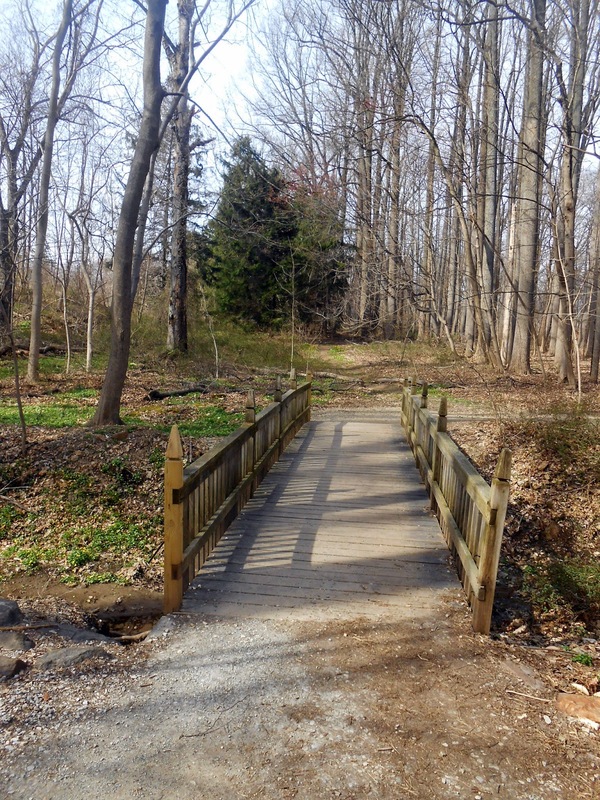 Haverford Nature Trail: This 2.5 mile wooded loop spanning Haverford College in Ardmore, outside of Philly, was a welcome surprise. The surface is packed dirt, with just enough rutted areas to keep it interesting. It also varied enough in scenery that multiple loops didn’t become boring. An added plus: Afternoons often included yummy college guys running shirtless. 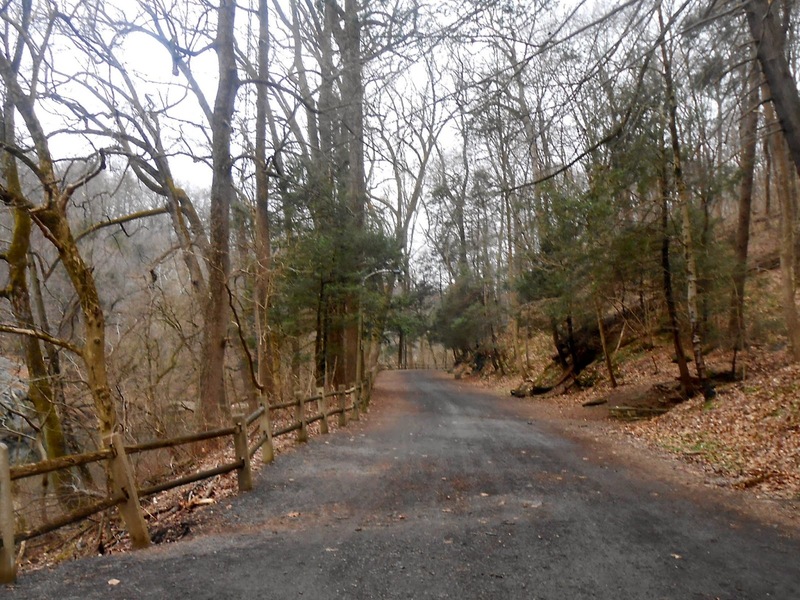 Forbidden Drive Trail: Oh, I loved this trail! 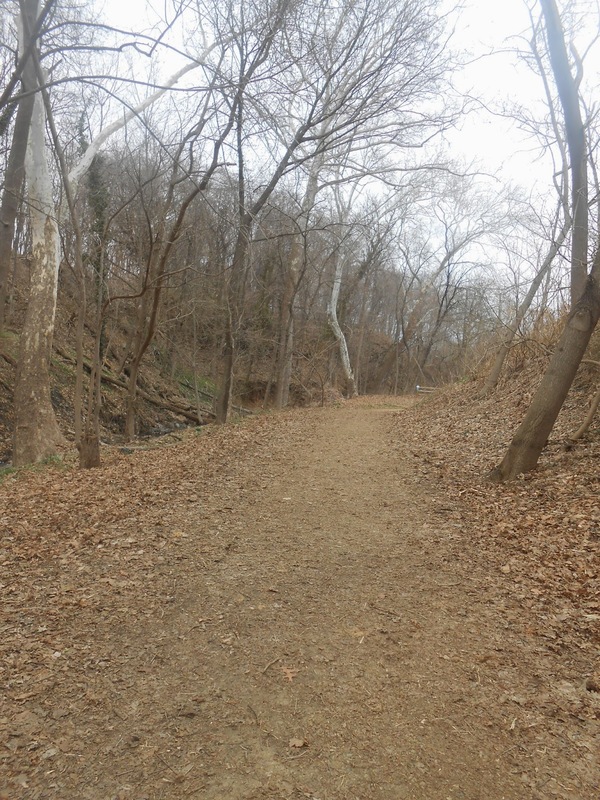 Wide packed dirt, smooth surface, lots of trees, and Wissahickon Creek running alongside. A good place to pack on the miles, though according to my sister, it isn’t always a safe area for a woman running alone, there have been numerous rapes plus an area by the covered bridge without cell phone reception. My advice: Run on weekends during peak times or with a running buddy. Cynwyd Heritage Trail and West Laurel Hill Cemetery: The Cynwyd Trail is only a couple of miles from my sister’s house and offered two miles of paved and dirty trail (four miles out and back). A nice place for a quick run and to get away from traffic. The bordering West Laurel Hill Cemetery offers great hills and a relaxing place to zone out and pick up a few extra miles. The most surprising thing about running in Philly, though, was how much I enjoyed it. The weather was warm, and as long as I stuck to side streets there was little problem with traffic. I’ve always believed that I could never be happy without mountains or quick access to wilderness area. But walking and running through Philly, alone and with my sister, offered me a different perspective, and I soon understood that happiness comes from within, and that as long as I have places to run, places that offer long, uninterrupted miles, I can be momentarily and spontaneously content. A quick cheer: A big yippee (yippee!!) 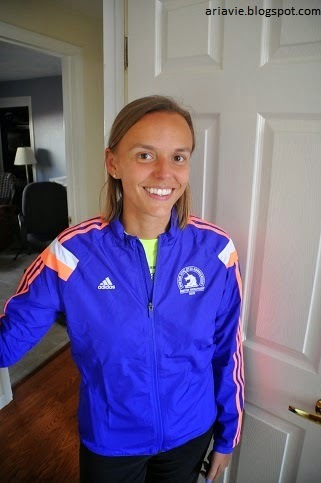 to Karen Kidwell, who PRed in Boston Marathon on Monday with a killer time of 3:30. I’ve been following Karen’s blog for years and had the opportunity to meet her last year, which was a welcomed pleasure. Way to go, Karen! You are awesome and madly fast. P.S. Her hubby Matt also PRed. Rock the Boston hills, okay, Karen? P.S. I “borrowed” this pic from your blog, hee, hee. Thanks! I'm happy to see you're getting your running groove back after your injury. 🙂 40 miles is really awesome.